Boil the cream and add the chocolate and butter and stir to melt. Scoop teaspoons full and place on tray and refrigerate until very firm. Dust hands with Icing sugar mixed with equal parts coco powder. 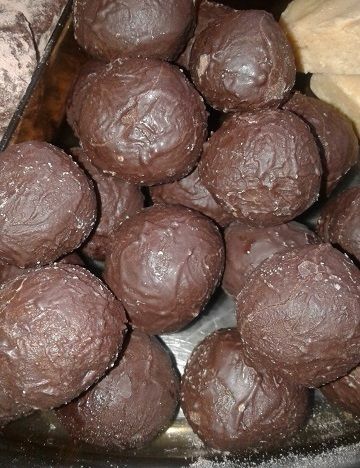 Roll the chocolates into little balls and refrigerate until very firm.